Having been left empty-handed against Roma (2-1), Sampdoria came dangerously close to the relegation zone. A game against Atalanta is simply a must win situation for Vincenco Montella’s charges if they want to start their ascend in the overall standings. La Samp have a good home record against la Dea at Stadio Luigi Ferraris, with six victories in their last seven clashes. Atalanta are going through a very rough patch at the moment, with nine consecutive matches without a triumph in the league (D4 L5). 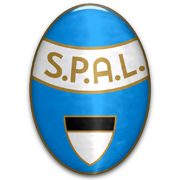 Their recent away performances have not been something to brag about, with a mere point from four encounters and, judging by their current below par performances, they are probably going to provide Sampdoria with much needed points. The Bergamo-based outfit are far from an efficient team, especially on their travels, so we do not expect them to register any goals in this meeting. Even though Eder left the team, Soriano (7) and Luis Muriel (6) proved more than once they are capable of producing this term, so we are backing the hosts to win without conceding.